Ecommerce solutions for PXS Distribution resellers, VARs and MSPs, and a compare the market service to find stock in distribution. 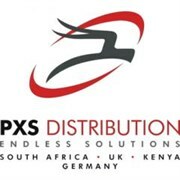 Is a focused and unique Value Added Distribution company which specialises in taking key brands to market. We encompass hardware and CE product distribution, software publishing, localization, marketing, distribution and strategic planning across multiple territories and languages. The business is segmented into two divisions, namely Retail and Channel (Corporate Licensing). The Retail Division delivers both hardware & software product, plus bespoke OEM software & accessory bundles into the entire retail environment, covering all mainstream ICT and CE outlets, independents and e-tailers. The Corporate Licensing division sells Volume Licensing into the Enterprise and SMB reseller environments. The OEM division creates bespoke software and accessory bundles for value added promotions across the retail and business-to-business landscape. The ESD division delivers download content into all channels, including B2B and B2C. The business has grown by 60% year on year, with an additional acceleration coming from our development within the greater African marketplace, plus the acquisition of significant high-end product lines within the enterprise arena. We are now firmly entrenched within the UK Retail and SMB Reseller environments, shipping through trusted distribution partners into mainstream Retail outlets and direct engagement with B2B Resellers. Additional bespoke Services we offer our partners, include Electronic Software Distribution within the B2B and B2C environments,Category Management, Training and End to End Merchandising. Recently celebrated its 10th year in business. Is a wholly owned subsidiary of the First Technology Group.